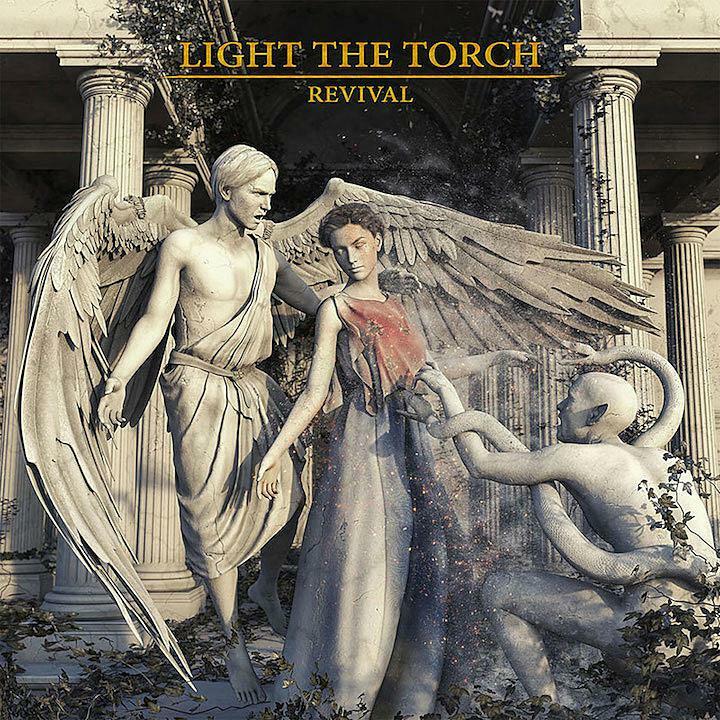 Light the Torch are a US metalcore band and this is their debut album, (or third, depending on how you look at it). Light the Torch have arisen from the ashes of Devil You Know, whose 2015 They Bleed Red was somewhat of a sleeper hit for me, one which I now regularly return to for a splash of modern song-based heaviness. Revival contains 12 tracks of anthemic, melodic metalcore. If you’re wondering what the main difference between Devil You Know and Light the Torch is, it’s this – an increased emphasis on melody and huge choruses. Although I do miss some of the harsher elements that were included on They Bleed Red, Revival is so chock-full of catchy hooks, massive riffs, and huge vocals, that it’s churlish to complain. The band’s singer has always had an impressive set of lungs, and his increased use of clean vocals on this album really highlights just how strong of a singer he is. Although the music itself is hugely enjoyable, the vocals are very much the stars of the show in many ways. Revival basically emphasises all of the more commercial aspects of Devil You Know’s sound and lessens the heavier ones. There is still heaviness here, of course, but everything is structured around the vocals and aimed at creating catchy, anthemic songs. It bloody well works too. Lovers of the more extreme side of metal will undoubtedly find little to love here, but I can’t help but get on board with what Light the Torch are doing. If you have a soft spot for well-performed and well-written modern metal, then Revival is an extremely well-executed and slick 43 minutes of music that has the songs to back up its easy confidence. This entry was posted in Metal and tagged Devil You Know, Light the Torch, Metal, Metalcore, Modern metal. Bookmark the permalink.